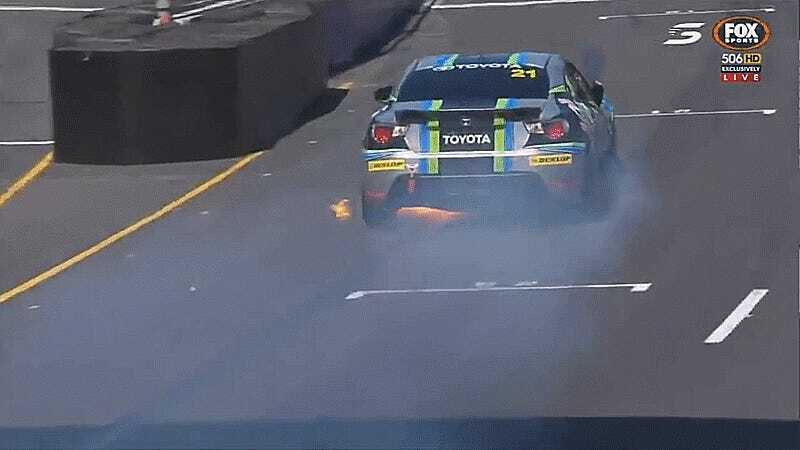 The Toyota 86 Racing Series’ Race 1 at Newcastle Street Circuit this weekend went out with a big bang. 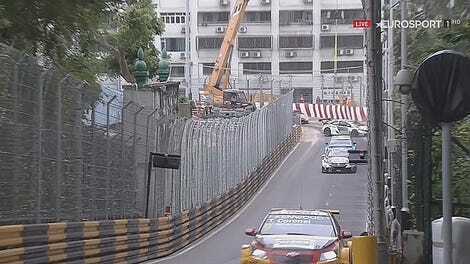 The safety car pulled back in to let the race restart with only one lap left. That ended exactly as poorly as it usually does for a large chunk of the field who got caught up in a big ol’ crash. 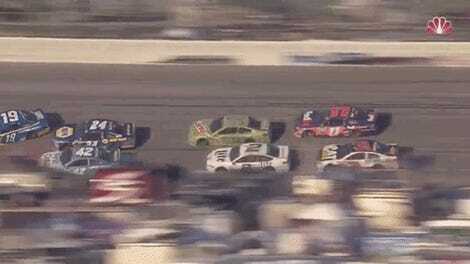 Last-lap restarts are usually terrible. Everyone’s thirsty to jump ahead in the standings, yet sometimes thirst overpowers talent and leads to stuff like, well, this. Driver Liam McAdam got hit by the No. 21 of Zach Loscialpo at the exit of a corner, leading to a good chunk of the field getting caught in a gigantic pile-up that held over ten cars up. Loscialpo’s car was able to restart and keep going, but quickly became engulfed in flames. But priorities, man. Loscialpo was able to drive across the finish line before pulling over and getting out. The 86 series ran as a support race for the Supercars finale weekend, which had its own fair share of drama after a stewards’ ruling on a penultimate-lap crash penalized DJR Team Penske driver Scott McLaughin enough to strip him of his freshly-awarded championship and hand the title over to Triple Eight Race Engineering driver Jamie Whincup. Correction [11/28]: An earlier version of this title said that the car crossed the finish line backwards, when it’s clear from the GIF that it did not.